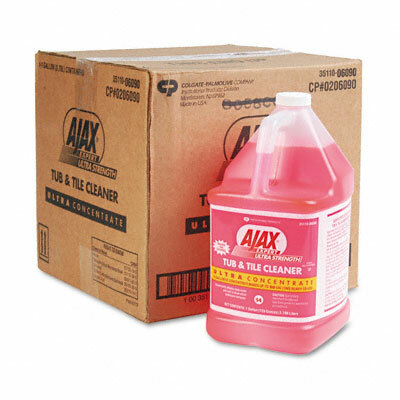 Fast-acting heavy-duty bathroom cleaner with mild acids that are safe to use on all bathroom surfaces. Foams when used with a foam trigger sprayer to eliminate bounce back. Yields five gallons of cleaning solution. Effectively and easily take on the tough job of bathroom cleaning. The fast-acting, heavy-duty formula of this bathroom cleaner features mild acids that are safe to use on all bathroom surfaces. Formula foams when used with foam trigger sprayer to eliminate bounce back. One gallon concentrate yields five-gallons of cleaning solution.